Updated annually, Waterway Guide Great Lakes 2019, Volume I edition is the indispensable cruising companion for boaters exploring the eastern portion of the Great Lakes from New York to Lake Huron including the New York Canal System; Lake Ontario and the Trent-Severn Waterway; Lake Erie and Lake St. Clair; and Lake Huron, Georgian Bay and the North Channel. The preferred route of the Triangle Loop (Champlain waterway) is also provided. The guide features mile-by-mile navigation information, aerial photography with marked routes, marina listings and locator charts, anchorage information and expanded Goin' Ashore articles on ports along the way. Helpful cruising data like GPS waypoints, detailed planning maps, distance charts and bridge tables help get cruisers there safely. Flexible spiral binding and heavy laminated covers with bookmarker flaps ensure durability and easy use in the cockpit and at the helm. Welcome to Maryland Nautical Sales where you can purchase nautical charts, books and other navigational resources at 10 - 40% off. Founded in 1949, Maryland Nautical Sales is one of the largest nautical chart agents in the United States. 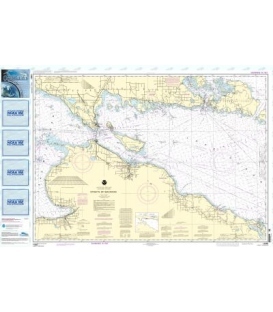 We have in stock a worldwide selection of nautical charts (electronic & paper), books, navigation software and marine supplies. As a supplier of worldwide charts (corrected up-to-date) and publications of the U.K. Hydrographic Office (British Admiralty) since 1987, Maryland Nautical was granted its "International Admiralty Chart Agent" status by the U.K.H.O. in 1999. 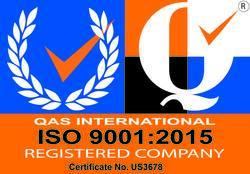 We are also an ISO 9001 Registered Firm.